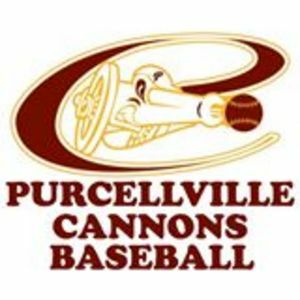 WINCHESTER, VIRGINIA-- After a 2-day All-Star break, the Purcellville Cannons dropped an interdivisional contest to the Winchester Royals on Tuesday night at Bridgeforth Field, 6-5. The Royals answered with a six unanswered runs after Purcellville opened the game with a 4-0 lead. After a short rain delay in the bottom of the fifth, reliever Tyler Yancey surrendered a 1-out, grand slam home run to catcher Spencer Levine to tie the game at four. After allowing a season-high five earned runs in his last outing -- an 11-6 loss to Staunton on June 29th-- Cannons' southpaw Pat Doudican did not factor into a decision for the first time all season. Despite shuting out the Royals over the first four frames, Doudican loaded the bases on two hits and a walk in the 5th, then was taken out as the rain delay began. Purcellville jumped on Winchester starter Christopher Hopkins early, tagging the right-hander for three runs over a 3-inning span. Right fielder Ray Hernandez began the game's scoring with a SAC fly to score newcomer David Salgueiro and give the Cannons a 1-0 lead. Catcher Matt Reed and shortstop Raul Cabrera added run-scoring hits in the second and fourth inning to give Purcellville a 4-run advantage. 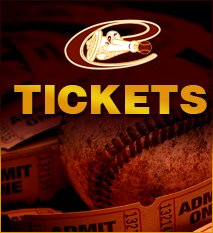 However, the Cannons were held scoreless until the 9th inning, stranding a pair of runners in the sixth and seventh. With two-on and two-out in the game's final frame, Andrew Zban's infield single scored Hernandez to make it a 6-5 game, but pinch-hitter Eriq White struck out on three pitchers and Purcellville fell to 2-13 on the road this summer. LHP John Bentley got the win for the Royals, holding the Cannons to just one run over four innings to improve his record to 4-0. Despite the run allowed in the ninth, Winchester reliever Mackenzie Krupp nailed down his first save of the season. Out of the Cannons' bullpen, Matt Kaster had not allowed an earned run in two seasons with the team, but gave up a 2-out RBI double to Levine in the bottom of the sixth to give Winchester a 5-4 lead and was tagged with a loss. The road woes continue for the Cannons (11-19) and they will once again have a chance to change that tide when they travel to Veterans Memorial Stadium on Wednesday to take on the division-leading Harrisonburg Turks (21-9). Matt Copley is 1-1 with a 3.73 ERA this season in seven appearances (four relieve, three starts) and gets the nod for the Cannons in their second trip to Harrisonburg this summer. In his last start, Copley picked up his first victory of the season, allowing two runs over seven innings in a 5-2 victory over Woodstock on July 1st. Copley did have a scoreless, 1-inning relieve appearance in the Cannons' 12-3 win over Covington last Saturday. Former Charles Town Cannon Donte Lindsay opposes Copley on the mound. Lindsay is also 1-1 with a slightly better ERA at 2.52. In Purcellville's first trip to Harrisonburg on June 21st, Patterson allowed 13 hits over seven innings, but allowed just four runs and picked up his lone win in a 7-5 Turks' victory. The Turks have won 14 of their last 18 games dating back to June 19th. On top of the Cannons' loss to the Royals, New Market rallied in the bottom of the ninth to beat Woodstock, 8-7, meaning Purcellville drops to a game back of the Rebels for the fourth and final playoff spot in the VBL North.